Address Delaware Ave. & Vernon Hgts. Blvd. Brief Description The final resting place of President and Mrs. Warren G. Harding is the largest and most beautiful presidential memorial outside of Washington D.C. Description The final resting place of President and Mrs. Warren G. Harding is the largest and most beautiful presidential memorial outside of Washington D.C. Built in 1925, it contains 46 columns of timeless white Georgia marble. The sturcture is beautiful. 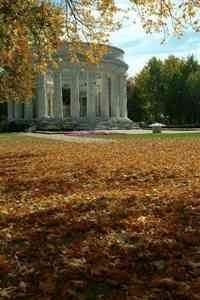 Add Harding Memorial to your free online travel itinerary.